Rantipole – a wild rambunctious young man; roving; rakish. And in our spare time we . . .
Men and women work similar hours but men get paid for more of what they do. That’s the unsurprising finding in Statistics New Zealand’s time use survey. Data collected from two-day time use diaries showed how much time people spent sleeping, on childcare, working, watching television or video, eating, socialising, and on sports and hobbies. “This time use survey provides information to help assess New Zealanders’ standard of living. It adds to knowledge from other survey types, such as economic change indicators, to provide a wider view of our country’s progress and the well-being of its people,” Social and Population statistician Paul Brown said. Men and women spent 6 hours and 44 minutes each day in 2009/10 on paid and unpaid work activities (productive activities). Productive activity includes work for pay (and commuting to work) as well as household work, child care, purchasing goods and services, and other unpaid work. “However, while 63 percent of men’s work was paid, 65 percent of women’s work was unpaid,” Mr. Brown said. Women spent 4 hours and 20 minutes daily doing unpaid work in 2009/10, less than their 4 hours and 36 minutes in 1998/99, in the first time use survey. Mr Brown said spending 13 minutes less on household work was a key factor. Men spent 2 hours and 32 minutes a day on unpaid productive activity in 2009/10. I wonder if doing less household work indicates increased efficiency, more sharing of duties with men or just lower standards? People aged 65 and over spent the most time on unpaid work, at 4 hours and 31 minutes a day. People aged 12 to 24 years spent 1 hour and 46 minutes on unpaid work activities, the lowest of all age groups. Can we take heart from the acknowledgement that a lot of the unpaid work we do is regarded as productive? I suspect that not too long ago it wouldn’t have been seen as such. Warming hearts, warming toes, warming Cantabrians – that’s the idea behind aftersocks. It’s a fundraising venture for Canterbury earthquake relief which was thought up by Justine and Jo Ottey. They went to Rural Women NZ who enlisted the help of Ashburton company NZ Socks. The result is red and black merino blend socks with a fault-line pattern selling for $20 a pair with all proceeds going to the Mayoral Relief Fund. The socks will be officially launched on Thrusday by Wellington Mayor of Wellington, Celia Wade Brown then at parliament by Jackie Blue MP. You can read more on Facebook. Today is the winter solstice with the sun reaching its northern-most point this evening. It’s not unusal to get the worst of winter after the mid-point but we’ve only had a couple of frosts so far this month. Normally I’d hesitate before driving through the LIndis Pass late in the evening in mid-June but on Friday the temeperature didn’t get below 3 degrees and there was no danger of frost or ice. South Island tourism has taken a hit from the Canterbury earthquakes and the slow start to winter is making life more difficult. Wanaka was cold, overcast and there was a half-hearted attempt to rain on Saturday morning but there no sign of snow. The town is usually quieter from after Easter until early June then it gets busier again when skiers and ski field staff arrive. It was still very quiet at the weekend. It’s no better over the hill in Queenstown and the ODT reports closed ski fields have left 540 people without work. The Winter Festival opens on Friday. Celebrations will go ahead snow or no snow but organisers will be regard bad weather as good weather as everyone waits for the white stuff. 524 Godomar, King of the Burgundians defeated the Franks at the Battle of Vézeronce. 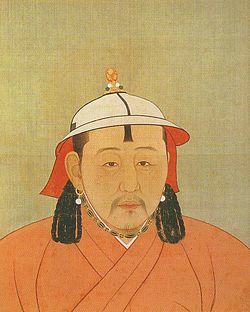 1307 Külüg Khan enthroned as Khagan of the Mongols and Wuzong of the Yuan. 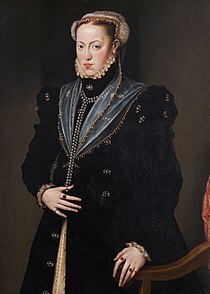 1528 Maria of Spain, Holy Roman Empire Empress, was born (d. 1603). 1582 The Incident at Honnō-ji in Kyoto. 1621 Execution of 27 Czech noblemen on the Old Town Square in Prague as a consequence of the Battle of White Mountain. 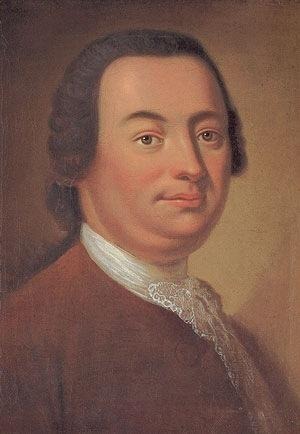 1732 Johann Christoph Friedrich Bach, German composer, was born (d. 1791). 1734 In Montreal, a slave known by the French name of Marie-Joseph Angélique was put to death, having been convicted of the arson that destroyed much of the city. 1749 Halifax, Nova Scotia, was founded. 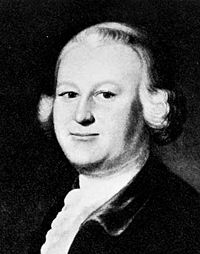 1768 James Otis, Jr. offended the King and parliament in a speech to the Massachusetts General Court. 1788 New Hampshire ratified the Constitution of the United States and is admitted as the 9th state in the United States. 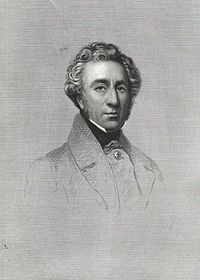 1791 Robert Napier, British engineer, was born (d. 1876). 1798 Irish Rebellion of 1798: The British Army defeated Irish rebels at the Battle of Vinegar Hill. 1813 Peninsular War: Battle of Vitoria. 1824 Greek War of Independence: Egyptian forces captured Psara in the Aegean Sea. 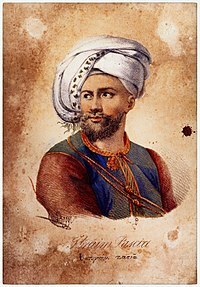 1826 Maniots defeated Egyptians under Ibrahim Pasha in the Battle of Vergas. 1854 First Victoria Cross won during bombardment of Bomarsund in the Aland Islands. 1864 New Zealand Land Wars: The Tauranga Campaign ended. 1877 The Molly Maguires, ten Irish immigrants, were hanged at the Schuylkill County and Carbon County, Pennsylvania prisons. A “coffin notice”, allegedly posted by Molly Maguires in Schuylkill County, Pennsylvania. 1895 The Kiel Canal was officially opened. 1898 The United States captured Guam from Spain. 1905 Jean-Paul Sartre, French philosopher and writer, Nobel Prize laureate, was born (declined) (d. 1980). 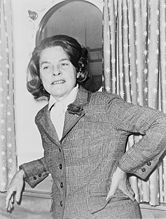 1912 Mary McCarthy, American writer, was born (d. 1989). 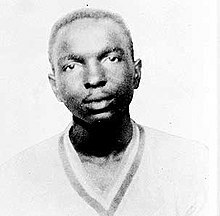 1915 The U.S. Supreme Court handed down its decision in Guinn v. United States 238 US 347 1915, striking down an Oklahoma law denying the right to vote to some citizens. 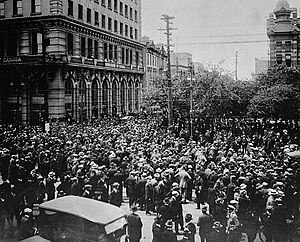 1919 The Royal Canadian Mounted Police fired a volley into a crowd of unemployed war veterans, killing two, during the Winnipeg General Strike. 1919 Admiral Ludwig von Reuter scuttled the German fleet in Scapa Flow, Orkney. The nine sailors killed were the last casualties of World War I. 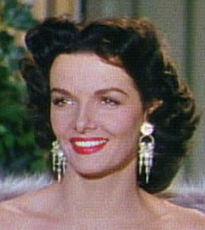 1921 Jane Russell, American actress, was born. 1940 The first successful west-to-east navigation of Northwest Passage began at Vancouver, British Columbia. 1942 World War II: Tobruk fell to Italian and German forces. 1942 World War II: A Japanese submarine surfaced near the Columbia River in Oregon, firing 17 shells at nearby Fort Stevens in one of only a handful of attacks by the Japanese against the United States mainland. 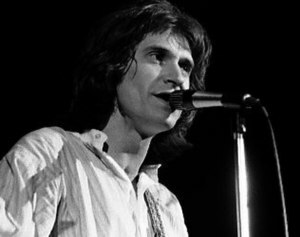 1944 Ray Davies, English musician (The Kinks), was born. 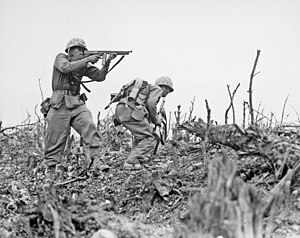 1945 World War II: The Battle of Okinawa ended. 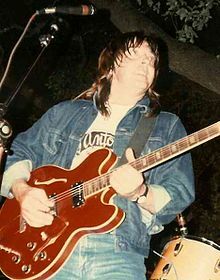 1947 Joey Molland, English musician (Badfinger), was born. 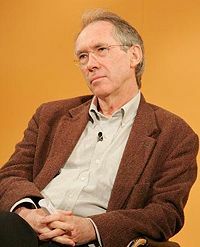 1948 Ian McEwan, English writer, was born. 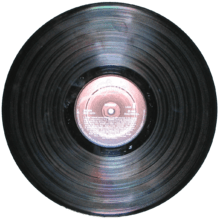 1948 Columbia Records introduced the long-playing record album in a public demonstration at the Waldorf-Astoria Hotel. 1952 Philippine School of Commerce, through a republic act, was converted to Philippine College of Commerce; later to be the Polytechnic University of the Philippines. 1957 Ellen Louks Fairclough was sworn in as Canada’s first woman Cabinet Minister. 1964 The Beatles landed in New Zealand. 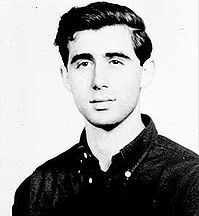 1964 Three civil rights workers, Andrew Goodman, James Chaney and Mickey Schwerner, were murdered in Neshoba County, Mississippi,, by members of the Ku Klux Klan. 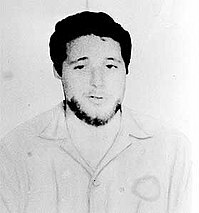 1973 In handing down the decision in Miller v. California 413 US 15, the Supreme Court of the United States established the Miller Test, which now governs obscenity in U.S. law. 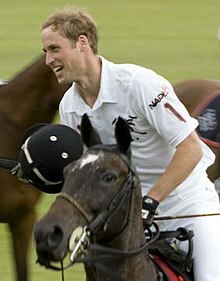 1982 Prince William of Wales, British prince and heir, was born. 1982 John Hinckley was found not guilty by reason of insanity for the attempted assassination of U.S. President Ronald Reagan. 2000 Section 28 (outlawing the ‘promotion’ of homosexuality in the United Kingdom) was repealed in Scotland with a 99 to 17 vote. 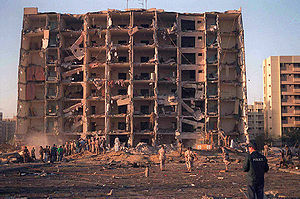 2001 A federal grand jury in Alexandria, Virginia, indictws 13 Saudis and a Lebanese in the 1996 bombing of the Khobar Towers in Saudi Arabia that killed 19 American servicemen. 2004 SpaceShipOne became the first privately funded spaceplane to achieve spaceflight. 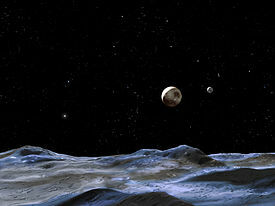 2006 Pluto’s newly discovered moons were officially named Nix & Hydra. 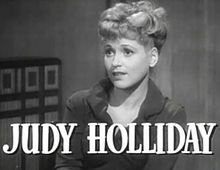 You are currently browsing the Homepaddock blog archives for the day Tuesday, June 21st, 2011.